People who suffer from psoriasis learn very early on that their disease is not contagious. In other words, it can’t be spread from person to person the way some other skin conditions can. However, people who don’t know much about psoriasis may worry that they can catch psoriasis from you. In this case, you may want to choose to educate others about your condition. Psoriasis is a chronic inflammatory condition. The most typical form, plaque psoriasis, causes red and white scaly patches on the skin in well-defined areas. Other types may cause small red spots, pus-filled bumps, nail changes, or large red scaly patches. Psoriasis is a type of autoimmune condition, in which certain cells of the immune system act in inappropriate ways. That is what causes the red scaly patches (and sometimes additional symptoms) of psoriasis. Autoimmune diseases, including psoriasis, are not transferred from person to person through an infectious agent (like a bacteria or virus). Instead, they are caused by malfunctioning of the individual’s own immune system. Why this happens isn’t totally understood. It is probably a complex mixture of environmental and genetic causes. On the other hand, certain other skin infections may appear similarly to psoriasis, especially to someone who doesn’t have medical training. Before people knew much about psoriasis, they often confused it with leprosy, a serious contagious condition that affects the skin and nervous system. As another example, someone with a skin infection with Staphylococcus aureus (staph) might also have reddish, angry-looking skin. In this case, the skin appearance is from infection, not inflammation. An infection like staph definitely can be spread from person to person through touching an affected area. It is true that psoriasis can sometimes be triggered by infection with Streptococcus, the bacteria that causes strep throat. However, most people who get psoriasis don’t get strep throat, and many people with psoriasis never had such an infection. So even though psoriasis is sometimes associated with a strep infection, it is not contagious. It is up to you if you choose to educate others about your condition. You are not obligated to do so. But you may find it helpful and empowering, especially in certain situations. Many people with psoriasis experience shame or embarrassment about their condition. Unfortunately, many people with psoriasis also experience stigma from others, at school, work, or in other social situations. All of this can contribute to problems with anxiety and depression, which are more common in people with psoriasis than in people who don’t have the disease. It’s important to remember that psoriasis is not your fault. It does not reflect on your worth as a person. And though there are steps you can take to treat psoriasis, there may be times when your disease is out of control. That isn’t your fault either. It may help to remember that other people may not know as much about psoriasis as you do. They may assume that your psoriasis is in some way catching, even though it isn’t. Try to give people the benefit of the doubt if you feel like you are experiencing stigma from the disease. You may think others are more concerned about it than they actually are. It may be easier not to assume what other people are thinking. You may find it empowering to be upfront with people about your condition. For example, if you see someone staring at an affected area on your arm, you can say something like, “Looks real red, doesn’t it? But don’t worry, it’s just psoriasis, and it’s not contagious.” This may cause some people embarrassment, but in other cases it can open up a helpful conversation. 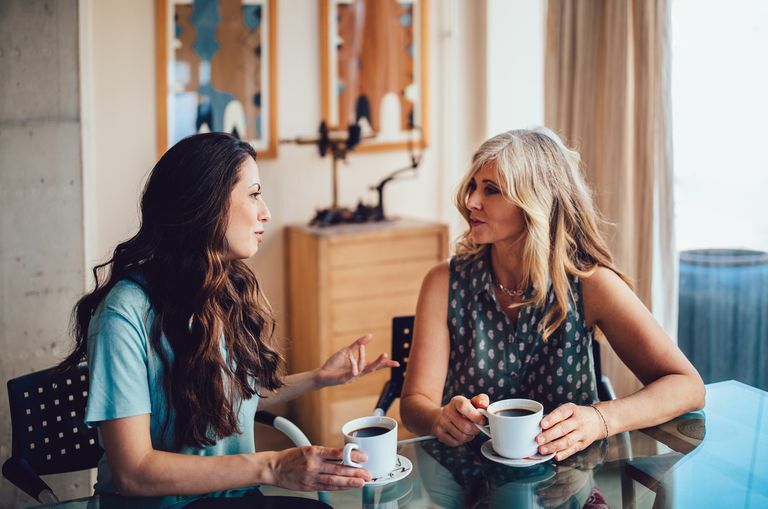 You may especially want to plan to have a brief conversation about your condition with people you work with or other people with whom you have regular contact. When you start becoming friends with a new person, you’ll probably want to have a conversation about psoriasis, so they can know what to expect. It is also worthwhile to bring it up early on with someone you are dating. Parents of children with psoriasis may need to educate teachers and other caregivers about the disease and its non-contagious nature. Psoriasis isn’t contagious, but not everyone knows that. In the end, it is up to you how you want to handle discussing your psoriasis with other people. Know your rights, and don’t let anyone make you feel bad because of your disease. Vora RV, Pilani AP, Jivani N, Kota RK. Leprosy mimicking psoriasis. Journal of Clinical and Diagnostic Research : JCDR. 2015;9(9):WJ01-WJ02. doi:10.7860/JCDR/2015/14518.6545.